University of Texas Health, United States. My research focuses on understanding the cellular and molecular mechanisms of different types of kidney disease and to identify the signalling pathways that regulate kidney disease. Understanding the components in these signalling pathways and their mechanisms of action is key for developing therapeutic approaches that will improve kidney function. Diabetes is the leading cause of kidney failure. Kidney diseases are now the major cause of premature death worldwide. More than 500 million persons worldwide and approximately one in ten adults have some form of kidney damage. This devastating illness is a major health problem in the United States. Over 4 million Americans are affected by some form of kidney disease. The US Renal Data System estimates that by 2020, more than 700,000 Americans will have end stage renal disease, with more than 500,000 requiring dialysis and more than 250,000 receiving a transplant. The Medicare program spends approximately $24 billion per year for care of U.S. patients with end-stage kidney failure. National Institute of Health fact sheets shows including the cost to other payers and out-of-pocket expenses, the total annual bill for treating kidney failure is over $35 billion. So my area of research is extremely important to the national interest of United States of America. After joining at Department of Medicine I took up a new challenge of investigating the molecular signaling mechanism of transforming growth factor beta (TGF-β) in chronic kidney disease (CKD). Gradual loss of kidney function is called chronic kidney disease (CKD) or chronic renal insufficiency. TGF-β is a member of a family of dimeric polypeptide growth factors. TGF-β exerts its various biological and immunological functions through complex signaling pathways. Increases or decreases in the production of TGF-β have been linked to numerous disease states, including atherosclerosis and fibrotic disease of the kidney, liver, and lung. I discovered a novel signaling mechanism how TGFβ play a role in CKD. I showed that TGFβ acts through two important enzymes, phosphatidylinositol 3–kinase (PI3K) and Akt, which leads to expression of a gene called plasminogen activator inhibitor-1 (PAI- 1). PAI-1, a member of the SERPIN (for Serine Protease inhibitor) family, is the primary physiological inhibitor of plasminogen activators. It is a single-chain, 50-kDa glycoprotein. Under pathologic conditions elevated levels of PAI-1 is associated with renal fibrosis. Renal fibrosis is the final common manifestation of a wide variety of chronic kidney diseases (CKD). For the first time my data represented a novel mechanism of PAI-1 gene expression in response to TGFβ, which plays a pathologic role in kidney damage. These unique studies have provided new insights into the pathogenesis of kidney fibrosis and possible therapeutic option for prevention and treatment of chronic kidney disease. This significant work was published in the highly reputed biomedical journal, Journal of Cellular Physiology . My study also investigated the pathophysiology of diabetic nephropathy. Diabetic nephropathy refers to the deleterious effect on kidney structure and/or function caused by diabetes mellitus. Clinically, diabetic nephropathy is characterized by a progressive increase in proteinuria and decline in GFR, hypertension and a high risk of cardiovascular morbidity and mortality. It is the most common single cause of end-stage renal disease (ESRD) in the United States. According to the Centers for Disease Control and Prevention (CDC), in 2011, about 25.8 million people in the U.S. has diabetes and more than 202,290 people with ESRD due to diabetes were either on chronic renal dialysis or had a kidney transplant. Both type 1 and type 2 diabetes can lead to diabetic nephropathy, although type 1 is more likely to lead to ESRD. The pathophysiologic mechanisms of diabetic nephropathy are incompletely understood. In 2008, I got an outstanding research achievement in the field of diabetes. I discovered a novel molecular pathway underlying diabetic nephropathy. I demonstrated that Rictor, a novel binding partner of the signaling molecule mammalian target of rapamycin complex (mTOR), negatively regulates TORC1 activity to control basal protein synthesis, thus conferring tight control on cellular hypertrophy, which is one of the pathological features of diabetic nephropathy. This study provided a better understanding of the molecular mechanism involved in the diabetic kidney. This pathway may provide novel molecular targets for the design of rational therapies to prevent this disease. This innovative and important work was published in the prestigious journal, Cellular Signaling . My research has also shed light on the signaling mechanism of Mesangial proliferative glomerulonephritis disease with a special focus on potential therapeutic effects on proliferative renal diseases. Mesangial proliferative glomerulonephritis is a kidney disorder characterized by swelling and blood in the urine. It is caused by inflammation of an internal kidney structure (glomerulus), and specifically an increase in number of certain glomerular cells (mesangial cells), accompanied by antibody deposits in the mesangium layer of the glomerular capillary. This disease can be found in any ages with a higher incidence among children and young people of 16 to 30 years old. I discovered a preventive role of TGFβ in proliferative signaling pathway of another growth factor, platelet-derived growth factor (PDGF), which plays important role in the development of mesangioproliferative glomerulonephritis of kidney. I demonstrated that TGFβ blocked the activation of Akt kinase by PDGF in mesangial cells, which contribute to the disease process . Cardinal aspects of diabetic nephropathy include hypertrophy evident in early stages and matrix accumulation and renal fibrosis that occur with longer duration of disease. Both of these events require an increase in contents of structural proteins and extracellular matrix proteins, which is achieved by a combination of increased synthesis and decreased degradation. During my study I also evaluated the effect of TGFβ on mesangial cell hypertrophy and discovered that protein synthesis machinery is involved in this process. I demonstrated first evidence that TGFβ- stimulated a protein called p90RSK (p90 ribosomal S6 kinase), which plays an important role in cell growth by activating several transcription factors, contributes to mesangial cell protein synthesis and hypertrophy . As enhanced synthesis of protein is an important contributing factor in the pathogenesis of diabetic nephropathy, control of that process is a legitimate therapeutic target. My unique observation demonstrated that intercepting p90RSK may provide an attractive new therapy to prevent mesangial hypertrophy during the early progression of diabetic nephropathy where TGFβ acts as the pathological cytokine. I made a potentially major scientific breakthrough in understanding and treating kidney disease that is associated with diabetes. I discovered novel roles of a cancer promoting protein called DJ-1 and a tumor suppressor protein called PTEN in diabetic kidney disease. Loss-of-function DJ-1 mutations can cause early-onset Parkinson's disease in human. Using animal models of diabetes and in vitro tissue culture studies, for the first time I demonstrated that there are elevated levels of DJ-1 protein in diabetic condition. I further extended this important study to demonstrate that this effect of DJ-1 is due to its binding to PTEN, which contributes to renal hypertrophy and matrix expansion, two important pathophysiological conditions in diabetic kidney disease. Thus my outstanding research finding for the first time linked a protein, which is absent in Parkinson’s disease, to the pathologic features of diabetic kidney disease and the novel protein DJ-1 may represent a therapeutic target for the prevention of diabetic kidney disease. This important work provided potential new avenues for preventing the development and progression of diabetic nephropathy. These original high quality studies were published recently in the highly reputed, prestigious journal, Cellular Signaling . I have also achieved important mechanistic insight into an unusual disease caused by mutations in tuberous sclerosis complex (TSC), which has gained significant interest over the past few years. This clinically complex disorder is estimated to affect 1 in 6,000 individuals and most commonly manifests itself in infants and young children. TSC is characterized by the occurrence of different types of tumors, often classified as hammartomas, affecting a variety of tissues including the brain, kidneys, lungs, heart and skin. Pathologically, these lesions cause neurological disorders (e.g. epilepsy and autism), lung, heart, and kidney failure. Also these patients are very much prone to renal cell carcinoma, a devastating cancer for which the mortality rate is very low. This complex codes for two proteins, one of which is TSC2. The predicted TSC2 gene product, designated Tuberin, has been identified as a tumor suppressor protein genetically implicated in the pathology of tuberous sclerosis. How this protein works in our body is not clear. I made a major contribution to understanding the pathogenesis of TSC2. We described that the absence of TSC2 results in the hyper-expression of the tumor suppressor protein PTEN. This is a significant breakthrough in TSC research, Journal of Biological Chemistry . However, how tuberin increases PTEN was not known. I took the hard challenge to elucidate the signaling mechanism of TSC2-mediated PTEN expression. For the first time I demonstrated a novel signal transduction mechanism for the expression of PTEN, which contributes to renal pathology in many diseases including diabetes, cancer and TSC. This study has now been accepted for publication in the very prestigious, top-notch biomedical journal, Journal of Biological Chemistry . These unprecedented findings in the fields of diabetes and cancer research could open the door to a raft of future treatments for deadly human diseases. After coming to US, within a very short period of time, I also made valuable contributions in other projects and elucidated several molecular signaling pathways in renal field. Important findings were published in prestigious biomedical journals. We showed for the first time the role of c-Src, a multidomain protein in proliferative glomerulonephritis disease . I made a significant contribution to identify a novel mechanism placing PTEN as a key regulator of diabetic nephropathy involving TGF-beta signaling. This outstanding work was published in a very prestigious journal, Diabetes . These novel findings have gained intense notice by researchers in the renal field, as well in many other fields. Reactive oxygen species (ROS) contribute to many glomerular diseases by targeting kidney mesangial cells. Catalase, an enzyme that breaks down H2O2 to inactive components, is used as a tool to reduce generation of reactive oxygen species (ROS). However, signaling mechanisms for catalase to regulate the process are incompletely understood. I made a significant contribution to demonstrate that ROS down regulate the expression of catalase in mesangial cells by PI 3 kinase/Akt signaling via FoxO1 protein as a target . 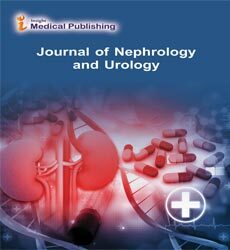 In 2008, we showed a unique observation that Resveratrol, a phytoalexin present in Leguminosae family of plants, which exhibits beneficial effects in the control of atherosclerosis, heart disease, arthritis and autoimmune disorders may represent an effective therapy for proliferative renal glomerular disorders. These novel findings published in FASEB Journal . I also gave my significant effort to understand the molecular mechanism of high glucose linked diabetic kidney disease . My laboratory is also focused on mechanisms responsible for gene regulation in kidney mesangial cells, particularly in response to physiologic and pathophysiologic stimuli, including cell proliferation, reactive oxygen species, and mechanical forces. MicroRNA is a short single-stranded RNA molecule that is now recognized as playing an important role in gene regulation. Recently we have reported that miR-21 acts as a central moderator of signal transduction pathways involving PTEN, Akt, and TORC1 protein that contribute to pathologies of diabetic nephropathy. Targeting miR-21 may be beneficial for the patients with diabetic renal dysfunction. I am the second author of this original outstanding article which published in the prestigious journal The Journal of Biochemistry in 2011 . Recently I have shown a unique signaling mechanism of a novel protein called Deptor in end stage kidney disease. Deptor may represent a therapeutic target for the prevention of diabetic kidney disease and it may be amenable for rational drug designing . I also demonstrated beneficial effects of rapamycin (a macrolide immunosuppressant) in models of renal disease such as diabetes, where TGFβ significantly contributes to kidney disease . As a co first author I discovered that Platelet-derived growth factor BB and its receptor (PDGFRβ) medicated signaling mechanism in increased mesangial cell proliferation during mesangioproliferative glomerulonephritis disease. This novel discovery is published in prestigious peer review . More recently I have demonstrated a novel role for Deptor protein in collagen (major structural protein in human body) expression, which contributes to diabetic nephropathy which is the major cause of end-stage renal failure. These unprecedented findings in the field of diabetes could open the door to a raft of future treatments for deadly human diseases . In 2014, I discovered a unique role of FoxO1 protein (a transcription factor) in renal cell hypertrophy and matrix expansion, two pathologic features of diabetic kidney disease. These original and novel observations published in the prestigious journal the Journal of Biochemistry . This work made a significant impact in the field of diabetes, particularly with respect to chronic renal failure in diabetic patients. Das F, Ghosh-Choudhury N, Venkatesan B, Li X, Mahimainathan L, et al. (2008) Akt kinase targets association of CBP with SMAD 3 to regulate TGF beta-induced expression of plasminogen activator inhibitor-1. J Cell Physiol 214: 513-527. Das F, Ghosh-Choudhury N, Mahimainathan L, Venkatesan B, Feliers D, et al. (2008) Raptor-rictor axis in TGF beta-induced protein synthesis. Cellular Signalling 20: 409-423. Das F, Mahimainathan L, Ghosh-Choudhury N, Venkatesan B, Kasinath BS, et al. (2007) TGFß intercepts nuclear glycogen synthase kinase 3 beta to inhibit PDGF-induced DNA synthesis in mesangial cells. FEBS Lett 581: 5259-5267. Das F, Ghosh-Choudhury N, Kasinath BS, (2010) G TGF beta enforces activation of Eukaryotic elongation dactor-2 (eEF2) via inactivation of eEF2 kinase by p90 ribosomal kinase (p90Rsk) to induce mesangial cell hypertrophy. FEBS Lett 584: 4268-4272. Das F, Dey N, Venkatesan B, Kasinath BS, Ghosh-Choudhury N, et al. (2011) High glucose upregulation of early-onset Parkinson's disease protein DJ-1 integrates the PRAS40/TORC1 axis to mesangial cell hypertrophy. Cellular Signalling 23: 1311-1329. Mahimainathan L, Ghosh-Choudhury N, Venkatesan B, Das F, Mandal CC, et al. (2009) TSC2 deficiency increases PTEN via HIF1alpha. J Biol Chem 284: 27790-27798. Das F, Ghosh-Choudhury N, Dey N, Mandal CC, Mahimainathan L, et al. (2012) Unrestrained mammalian target of rapamycin complexes 1 and 2 increase expression of phosphatase and tension homolog deleted on chromosome 10 to regulate phosphorylation of Akt. J Biol Chem 287: 3808-3822. Ghosh-Choudhury G, Mahimainathan L, Venkatesan B, Das F, Ghosh-Choudhury N (2006) c-Src couples PI 3 kinase/Akt and MAPK signaling to PDGF-induced DNA synthesis in mesangial cell. Cellular Signaling 18: 1854-1864. Mahimainathan L, Das F, Venkatesan B, Ghosh-Choudhury G (2006) Mesangial cell hypertrophy by high glucose is mediated by downregulation of the tumor suppressor PTEN. Diabetes 55: 2115-2125. Venkatesan B, Mahimainathan L, Das F, Ghosh-Choudhury N and Ghosh-Choudhury G (2007) Downregulation of catalase by reactive oxygen species via PI 3 kinase/Akt signaling in mesangialcells. J Cell Physiol 211: 455-467. Venkatesan B, Ghosh-Choudhury N, Das F, Mahimainathan L, Kamat A, et al. (2008) Resveratrol inhibits PDGF receptor mitogenic signaling in mesangial cells: role of PTP1B. FASEB J 22: 3469-3482. Dey N, Ghosh-Choudhury N, Das F, Li X, Venkatesan B, et al. (2010) PRAS40 acts as a nodal regulator of high glucose-induced TORC1 activation in glomerular mesangial cell hypertrophy. J Cell Physiol 225: 27-41. Dey N, Das F, Mariappan MM, Mandal CC, Ghosh-Choudhury N, et al. (2011) microRNA-21 orchestrates high glucose-induced signals to TORC1 for renal cell pathology in diabetes. J Biol Chem 286: 25586-25603. Das F, Ghosh-Choudhury N, Bera A, Dey N, Abboud HE, et al. (2013) TGFß integrates SMAD 3 to mechanistic target of rapamycin complexes to arrest deptor abundance for glomerular mesangial cell hypertrophy. J Biol Chem 288: 7756-7768. Das F, Ghosh-Choudhury N, Bera A, Kasinath BS, Ghosh-Choudhury G (2013) TGFß-induced PI 3 kinase–dependent MNK-1 activation is necessary for Ser-209 phosphorylation of eIF4E and mesangial cell hypertrophy. J Cell Physiol 228: 1617-1626. Bera A, Das F, Ghosh-Choudhury N, Li X, Pal S, et al. (2014) Positive feedback loop involving Erk5 and Akt turns on mesangial cell proliferation in response to PDGF. Am J Physiol Cell Physiol 306: 1089-1100. Das F, Ghosh-Choudhury N, Bera A, Abboud HE, Kasinath BS, et al. (2014) TGFß-induced deptor suppression recruits mTORC1 and not mTORC2 to enhance collagen I (a2) gene expression. PLOS ONE 9: e109608. Das F, Ghosh-Choudhury N, Dey N, Bera A, Mariappan MM, et al. (2014) High glucose forces a positive feedback loop connecting Akt kinase and FoxO1 to activate mTORC1 for mesangial cell hypertrophy and matrix protein expression. J Biol Chem 289: 32703-32716.